Unless you have a happy hacker and want to do little else, schooling is an essential part of the care of your horse. If you want to be successful at competitions you need to put the leg work in. Schooling is best done in a menage, but grass that isn’t too firm or too soft will work too. There’s lots you can do without even sitting on your horse. This can include in hand work, getting the horse to step back and forward when asked, respect your space as well as lunging. 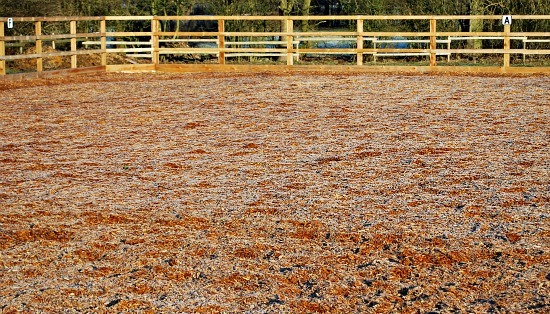 This is also a good place to start “bomb proofing” work, leading your horse past obstacles such as buckets, flags, jumps etc – I often put turnout rugs on the floor for my youngsters and get them to walk over them. This is your chance to improve you horses balance, fitness and way of “going”. Use these sessions to work on the horses bend, response to the leg, working forward, into a contact and straightness. Exercises such as circles, shallow loops, transitions, serpentines and leg yield are all good things to teach your horse. Also work on your position, standing in your stirrups as well as taking them away. This is not just for jumpers. 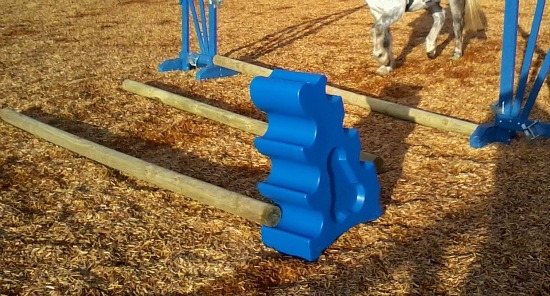 It helps your horses muscle development, gets them moving their legs a bit more and helps them with their strides. What it says on the tin. Grid work is a good exercise – don’t get too big too quick and remember when you practice, you don’t have to jump huge all the time. Vary where you put the fences so that the horse doesn’t decide it will only jump a fence if it’s in the same place everyday. • Try and vary what you do so that you and the horse don’t get bored. • Try and vary what you do so that ALL the muscles on the horse are worked in the course of a week. • Don’t do too long and give you and your horse regular breaks in a session. • Get a good instructor – they’ll be able to look at you and your horse from the ground and advise you – they’ll also spot bad habits. • Try and end on a positive note even when 90 per cent of the session has been rough.